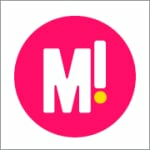 Mamamia.com.au Open Post of the week. Open Post. What's been happening in your world? Change is as good as a holiday, right? Or at the very least, it’s as good as a long weekend. And after the Queen’s Birthday long weekend came to its conclusion, we were a little down in the dumps here in the Mamamia office. Nicky has just come back from holidaying in Hawaii, Nat had been sailing the Whitsundays, Jam and Mia had spent weekends in the country, Lucy visited her home town of Melbourne and Rosie stayed at home in Newtown (party ANIMAL, that girl). In other words? We were all having some pretty serious long weekend withdrawals. So when Mia went out for the afternoon to speak on Mamamia Today, our radio show, we decided to MOVE ALL THE FURNITURE. Surprise, Mia! Previously we were in this boring U-shape around the edges of our big room. It was fine but kind of… conventional. So we strategised about various possibilities and workshopped our options. Should we rearrange into small group tables ala 90s primary school open-plan classrooms? Should we move into production-line-like rows, churning out news, humour and opinion as if they were sausages? Nah. Who wants to do that when we can try and turn the Mamamia office into the Googleplex. In other words: One giant communal table with hot-desking. Who’s with us!?! Okay. So it’s not really like the Googleplex at all. It’s more like a big family dinner table. But given that we always ask our readers to imagine that commenting and contributing on Mamamia is a little like being at a dinner party, we think it works. Hey Lucy – can you pass the salt? We actually cleaned our desks. World first. Everyone got a bit excited. Especially Nicky. This is the finished product. (View from Boss Lady Jam’s seat).